I’m an Android user because I love to tinker with my phone and change it up every once in a while. Android lets me do that easily right out of the box because it was designed that way – no rooting or jailbreaking required. One of the easiest ways to switch up my device is to install a new launcher, which is basically the “home screen” that launches programs when you tap on them. 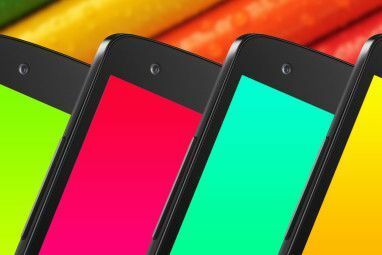 There are a bunch of articles floating around on the Internet about Android launchers, but here are a few I’ve found that you may not have heard about. They’re not as popular as GO Launcher or ADW Launcher, for example, but they’re interesting in their own unique featuresets. Lose the fat, keep the muscle. Be warned, Lightning Launcher is on steroids. Lightning Launcher is the launcher that I currently use, and I’ve been extremely happy with it so far. It’s built with the mindset that all extraneous features (the “fat”) should be sliced and thrown away, while keeping all of the powerful features (the “muscle”). The launcher itself weighs in at less than 60KB, so the developers have definitely kept their word on that. The concept of Lightning Launcher is that the home screen is no more than a blank canvas for apps. There are no more pages that you have to scroll through. Instead, you add the icons to the home screen and then you can scroll around freely, or even pinch to zoom-in and zoom-out. It runs fast and has a number of customization options, and that’s why I like it – but it’s definitely not for everyone. At least give it a try, though, because it has set itself apart from other launchers well. Microsoft has been toying around with the new Metro UI, and from what I hear, it’s a polarizing design choice. Either you love it or you hate it. 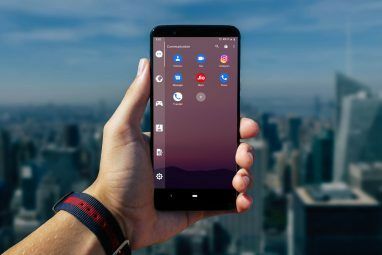 Fortunately, there are launchers that allow you to give your Android a quick and easy facelift to make it more like Metro. There are other Metro-based launchers out there, but this one seems to be the least buggy. Plus, it allows proper customization of tiles and themes. The free version has an ad in the apps list, but you can get rid of it by using the donation version for only $1.99. A launcher application specialized in 3D effects. MXHome Launcher fills a unique niche – the one all about aesthetics and 3D effects. Like movies, 3D doesn’t automatically make an app better. In fact, it can make an app worse. But if you’re the kind of person that enjoys what 3D has to offer, then you’ll love this launcher. 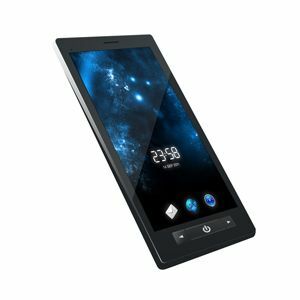 This launcher has a number of exciting features: dynamic G-sensor movement for optimal 3D visuals, 3D special effects for the home screen, a control tray for quick access to settings, and more. It’s still a new launcher, though, so it’ll be some time before it catches up in the customization department. MXHome Launcher isn’t really for me, but I can see that it has potential. Sometimes you want an app that performs well with the basics and has no fluff on top. In the field of Android launchers, Zeam Launcher is the one that fits the bill. Like Lightning Launcher, it is small, light-weight, and extremely responsive. If you prefer minimalism, then you’ll love this app. Unfortunately, it’s not very featured-packed. I suppose that doesn’t really matter if you’re consciously seeking out a launcher that is barebones and speedy. Though I prefer Lightning Launcher, Zeam Launcher is definitely worth a go. Break all the rules and go Faster Than Light! The developers of FTL Launcher have made a bold claim by saying this launcher is the fastest launcher you’ll ever run. They’ve built the app on the basis of being small, light, and configurable to maximize performance and usability. Unfortunately, there is a pay version of FTL Launcher, which means that the free version is somewhat restricted in its features. If you don’t care for the extra customization and simply want something that goes Faster Than Light, then perhaps FTL Launcher is the one for you. I know that I’ve barely scratched the tip of the iceberg of all the Android launchers out there. Every day, there are new ones popping up here and there, and some of them may hold promise. One last launcher you may be interested in is the ever-venerated Nova Launcher. Why is it so popular? Find out what it can do by checking out our article on the best Nova Launcher features and tips 10 Power User Tips and Tricks for Nova Launcher Prime on Android 10 Power User Tips and Tricks for Nova Launcher Prime on Android Nova Launcher Prime is undoubtedly the best launcher on Android, and with these tips and tricks, it can be even better. Read More . If you know of any Android launchers that are obscure but worth mentioning, feel free to share them in the comments. Allow me to suggest ap15 a really minimalist launcher. And, with it or with any other launcher, floating toucher, to immediately access the apps you use more frequently. For those who like to rapidly reach any app on their Android smart phone without the need of numerous swipes try the Minimal Launcher by Twinfish Labs ...It is listed in the Google Play Store as a free download. 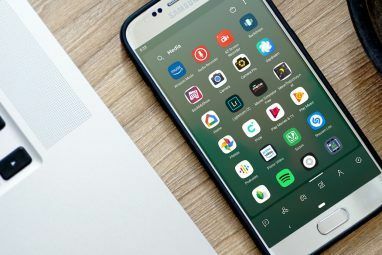 It offers a alphabetic side slide search feature and it can sit atop almost any favorite image you place as a background on your home screen ?. . .Bye. If you have lots of apps and love to concept of tags, try Tag Home. Apps can be grouped into whichever classifications you like, but because Tag Home uses tags, an app can appear in multiple groups. My description doesn't do it justice, and the description on the Play Store is sparse, but it offers a really powerful way to organise your phone. I've got over 100 apps and 25 tags, with many apps having multiple tags, and it is SO much easier to find apps now than with the original Samsung launcher. i just installed this new android launcher that weighs very little on the phone, runs real smooth and looks just like the ics version. i deeply recomend it even for the NOT higher end phones. Zeam Launcher is truly the champion of lightweight launchers. Been using it for the last month and it's great. Trim the fat, install Zeam Launcher! 91 ihome launcher is a aluncher which gives you iphone style icons and looks. But with features like adding folders and widgets and ability to add homescreens. I have been using android phone for just about 2 months. From day one i have been go launcher and i certainly think it does a great job when compared to using the default settings. But both lightning launcher and launcher 7 seems to be a good alternative. I am going to give them a try and see if i have better experience with them. I like the Full Screen Launcher. it lays out all the apps on one page and looks cool. The Nemus launcher works really well for me. Nemus launcher def worth checking out!!!!! What did you think of nemus? I use Go Launcher as well as their other products Go Locker (Lock Screen) and Go SMS Pro. They are all free programs and integrate beautifully. GO Launcher is a nice program indeed. I've used several of their products before without any complaints. But they're rather well-known and I was trying to bring some lesser-known launchers into the limelight. Thanks, though! I appreciate the comment. Another lesser-known one is 'Hi Launcher' it's an intersting concept, split into two sections, one for home screens and one for draws, they can be expanded and contracted. It's pretty nice, but I much preffered GO Launcher to it, so I switched back. QQLauncher is also very nice and a very full launcher, possibly my favourite, but it was too slow to be usable on my phone. Wow, those two launchers look really interesting. I really like the drawer aspect of Hi Launcher. I'm definitely going to have to give these a try. Thanks for sharing! If you run Android 4.0+ I suggest Nova Launcher : Lightweight, fast and very customizable. *Requires root for full features. I don't have an Android 4.0 so I wasn't able to try Nova Launcher. I'll ask some of my friends to try it out, though, since you recommended it. Thanks!